Island of Tabarca, a paradise marine reserve. 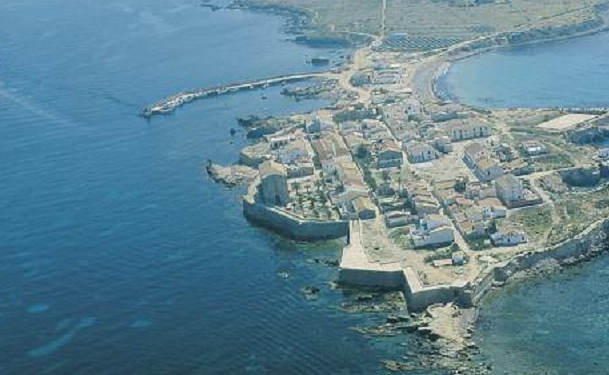 The island of Tabarca is located at about five miles from the port of Santa Pola and is the only permanently inhabited island of the Valencian Community. The low population density of this island has allowed these waters and seabeds to remain in an exceptional state of preservation and health when compared to the nearest peninsular coast. For this reason, this area was the first Spanish marine reserve that was opened in 1986. The total area is about 1400 hectares and bottoms range between 0 and 40 meters depth. Almost at the outer edge of the marine reservation of Tabarca in GPS 38º09.231 N / 000º25.902, W; the sonar reveals the presence of a slab of rock which is around 50 meters long and about eight meters wide that stands on the sand bed at 25 meters depth. We will descend over the small-submerged island, controlling the buoyancy to avoid damaging the bottom and after rigorous checks we will start a simple journey around the rock formation, where the maximum depth is around 19 meters. 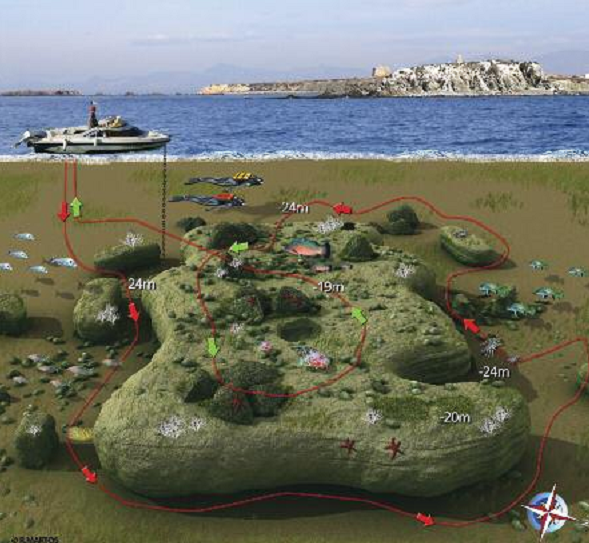 Initially we will border it and pay attention to the numerous clusters of rock and sea grass surrounding the island where large specimens of crustaceans find shelter. Species include Lobster and other marine life such as Moray eels, Conger, Imperial Bream, Grouper and big Starfish that will amaze us with their color when focused on with a torch. The average depth of the dive will limit the bottom time to around 40 minutes.